Plenty of seemingly banal food products are loaded with food additives. While the long-term health effects of some food additives are largely unknown, some have already been demonstrated to have adverse health consequences. Health conscious individuals may want to avoid some additives altogether and significantly reduce their consumption of others. Consumers will often need to do research and check ingredients labels to determine whether a given food product contains harmful additives. Many of the worst food additives are distinguished by the fact that they have been shown to cause particularly severe negative health consequences. Some of these additives are legal in the United States but illegal in other countries, which only contributes to their negative reputation. Since many of these food additives are commonplace, people will also end up ingesting more of them, making them particularly harmful in practice. The Environmental Working Group (EWG) recently released an updated list of the most dangerous food additives currently used in the United States, and nitrates and nitrites made the top of the list. According to the Environmental Protection Agency (EPA), the potential for dietary nitrate and nitrite exposure is comparatively high, especially when it comes to children. Nitrites and nitrates are added to foods to maintain freshness, which is why they are particularly common in cured meats. However, even vegetables can contain these chemicals, so vegetarians will have to put some effort into avoiding them. According to WebMD, in the days before the widespread use of refrigeration where Americans consumed comparatively high levels of cured meat, more people died from gastric cancer than from any other type of cancer. WebMD indicates that in the early 1930s, when manufacturers reduced their usage of sodium nitrite in cured meat and refrigeration became more common, the incidences of gastric cancer became significantly less common. Essentially, researchers may have nearly a century's worth of evidence against nitrates and nitrites. According to WebMD, trans fats can increase a patient's levels of LDL, which is the harmful type of cholesterol, while simultaneously decreasing their levels of the healthier HDL cholesterol. Trans fats, which result from hydrogen being added to vegetable oil, have been linked to type 2 diabetes and heart disease. Although the trans fat content of certain foods has been featured on warning labels since 2006, some foods that supposedly have zero grams may have less than a half gram per serving. After consuming several servings, the consumer may actually be taking in a substantial amount of trans fat. 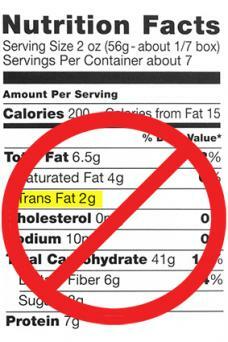 Baked goods, stick margarine, microwave popcorn, crackers, icing, and fried restaurant foods all may contain trans fat. People that consume many of these foods may still be taking in more than they think. The Chicago Tribune (CT) says that potassium bromate, which may be referred to as 'bromated flour' on an ingredients label, is an oxidizing agent used to give flour a boost during the baking process. According to the Environmental Working Group, potassium bromate is a potential human carcinogen that can damage DNA and the kidneys. Unlike the United States, Canada, the European Union, and the United Kingdom don't allow potassium bromate to be used in food. According to the CT, it is also banned in China and other nations. Bread products often form the basis of people's meals, so people may be consuming a lot of bromated flour throughout their days. The CSPI indicates that BHA is used in chewing gum, vegetable oil, cereals, and potato chips to slow down the rate at which the products become rancid. BHA is also used in pharmaceutical products and cosmetics. The U.S. Department of Health and Human Services thinks there's sufficient evidence to be wary of BHA's potential as a carcinogen, but BHA is not regulated by the FDA. The fact that it has such wide use makes it a particularly worrying chemical. The EWG calls into question the FDA's decision to put propyl gallate in the Generally Regarded As Safe category, citing its potential as an endocrine disrupter and a National Toxicology Program study that linked propyl gallate to tumors in laboratory rats. The CSPI referred to safety studies that strangely suggested that low doses of propyl gallate may be more carcinogenic than high doses or zero doses, which might be caused by propyl gallate's theoretical role as an endocrine disrupter. Propyl gallate is used as a preservative in chicken soup, vegetable oil, potato sticks, chewing gum, and meat products. People that don't check for propyl gallate on food labels may be taking too much of a risk. There are many cases throughout the history of processed food in which additives that were previously thought to be safe proved to be dangerous, and cases where additives previously thought to be dangerous turned out to be safe. Consumers are in a difficult position when it comes to making sound decisions about food additives. As such, it becomes even more important to prioritize and try to avoid the additives that have attracted the most controversy, since it is difficult to avoid all of them.